You didn’t see it coming! This funny co-star in the Big Bang Theory chopped off her gorgeous blonde locks and is now sporting her new short hair. It’s amazing how she can transform her short locks into a myriad of classy styles. The creative way she fixes her hair gives you a fresh perspective on how to style short hair. 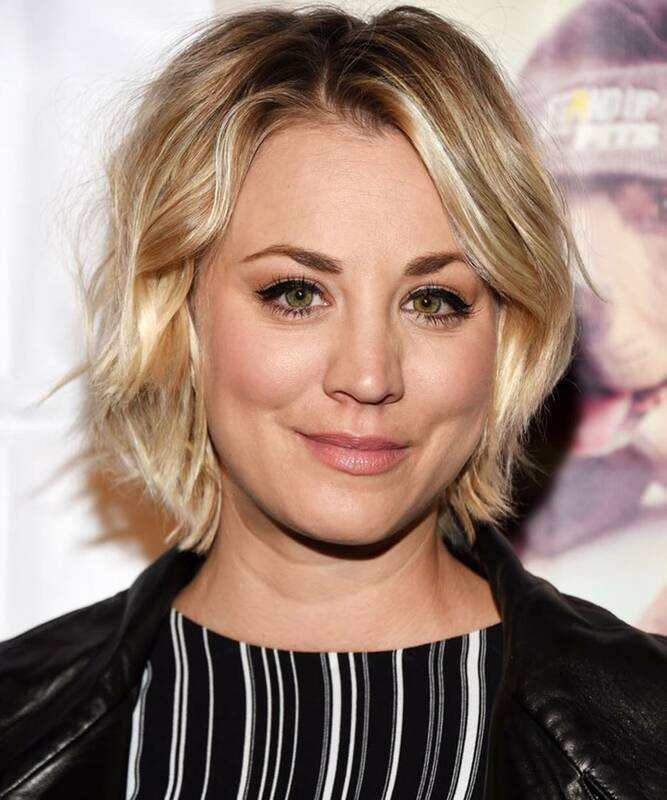 Kaley styled her bob with short curls to give it a unique, laidback glamorous look. She added some volumizing spray to make it fuller and with more texture with the unkempt look. This pixie cut was transformed into its edgy look by adding a soft pink candyfloss shade. It creates a bold fashion statement that only the daring ones will wear. This sleek, slicked back bob gives of a neat and glamorous aura. It is the perfect hairdo for any corporate or formal event. It enhances your facial features. When you are trying to grow out your hair from a pixie cut and transition into a bob, you’ll need to visit the salon to get the stylist to put in some layers. To create a softer look with your bob, keep your bangs swept on the side like a fringe. Having an undercut creates a bold statement. 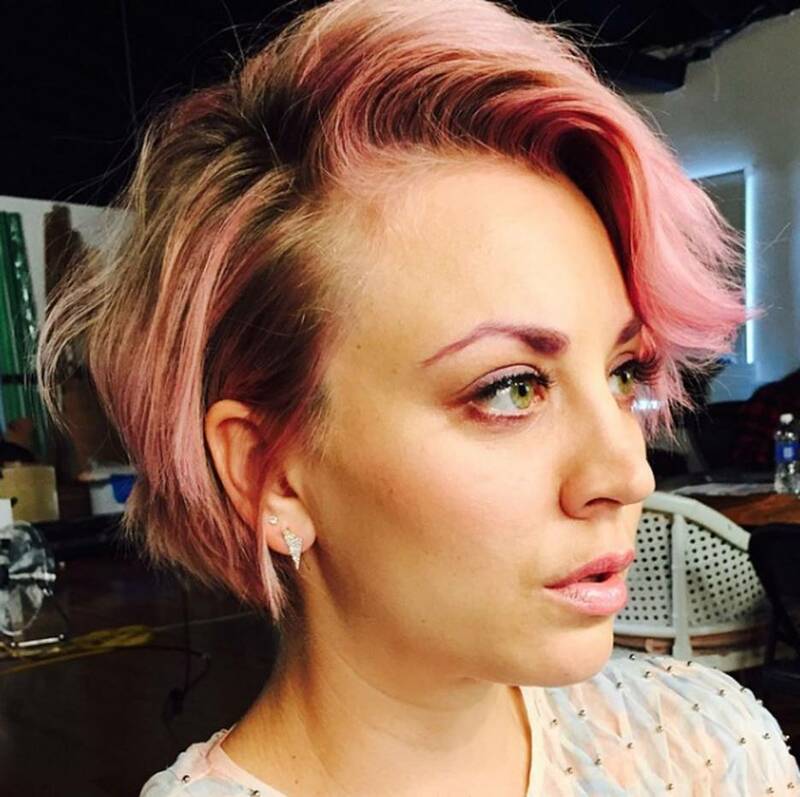 Kaley’s other version of the pixie cut that turns heads anywhere. It’s a choppy short style which she wears slightly disheveled to create the laidback chic look. How about trying this upswept, slicked back version? It makes her look like a rock star with a lot of chic. This relaxed look is easy to make by just combing your hair to get rid of fly aways, then using the fingers, apply texture wax thru the hair. Her slicked back look is her go to hairstyle when it is award’s night. Just shampooed hair is brushed up from the roots and blow dried as its smoothed down. If you want to achieve this look, comb wet hair to the side to create dramatic parting. Use a brush and hairdryer to brush down the locks. Use hairspray to smoothen the finish.